Here are some fun dark winter images from Tyra AlSudairy and Tyra VanCleave’s wedding. 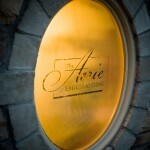 The ceremony and reception were both at The Aerie at Eagle Landing in Happy Valley Oregon. © 2019 David A. Barss, Photographer|ProPhoto Photography Blogsite by NetRivet, Inc.